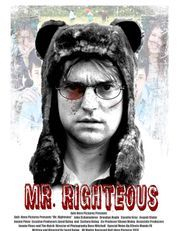 James Righteous, your typical nice "quiet guy" just trying to make ends meet for his young family. Righteous is the standard for average. His job, his home, his entire life, average. It might not be perfect, but it's easier to be taken advantage of than to cause disruption in such a predictable life. However, James Righteous' comfortable routine is about to change as he soon realizes that being walked all over just isn't worth it anymore. There comes a point when you're finally pushed past your limits and are forced to be . . . not so nice.